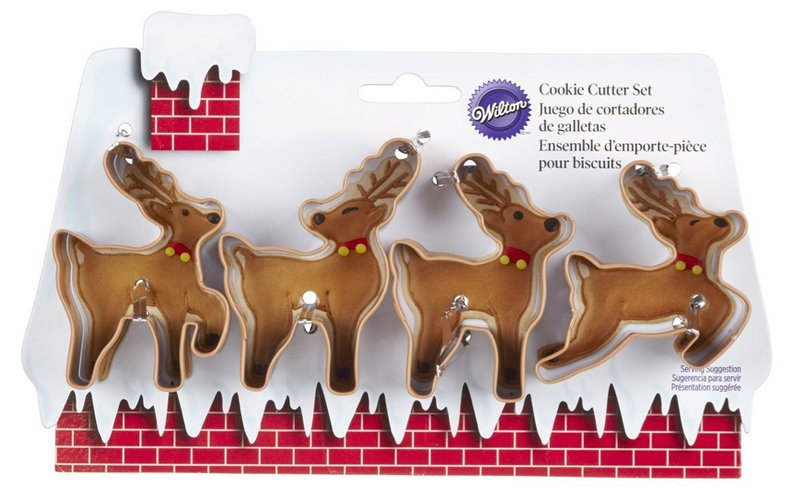 Wilton 4-Piece Christmas Reindeer Metal Cookie Cutter Set Only $6.86 + FREE Prime Shipping! You are here: Home / Great Deals / Amazon Deals / Wilton 4-Piece Christmas Reindeer Metal Cookie Cutter Set Only $6.86 + FREE Prime Shipping! I am such a HUGE fan of the Wilton brand when it comes to baking accessories, so I was excited to see this cute Wilton 4-Piece Christmas Reindeer Metal Cookie Cutter Set for only $6.86 right now! I don’t have an reindeer cookie cutters so this will be a great addition, and the kids will love it!